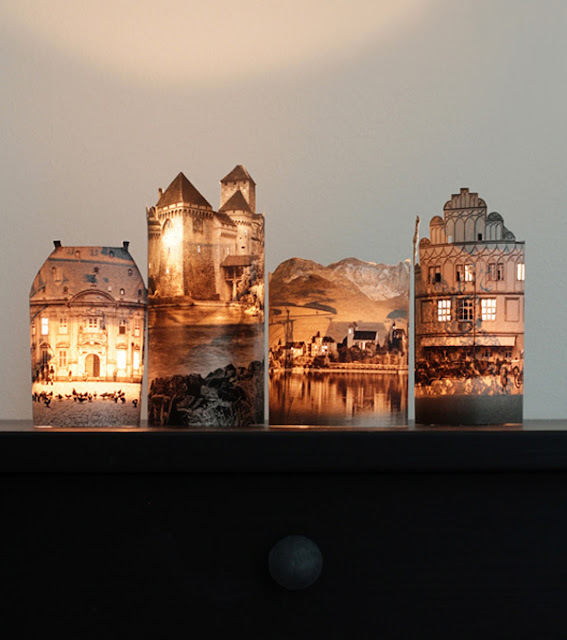 Claire repurposed images of old houses from calendars and magazines to create these gorgeous lighted house votives (using battery operated candles of course). What a fun Christmas village you could make or even a spooky Halloween display using the same technique. You can see the steps to create your own DIY Houses By Night over at Fellow Fellow. These are so cool. I love it!